Long Battery Life. 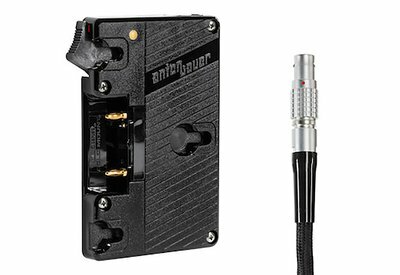 With the one included Digital 90 battery, the Canon C300 Mark II Anton Bauer Gold Mount Power Kit will give you much longer continuous power than the standard Canon BP-A30 battery. The included Twin 60 battery charger lets you recharge the Dionic HC after it’s depleted. 15mm Rail Mount. The AB Gold Mount plate is attached to a Wooden Camera Battery Slide with integrated 15mm rail mount, allowing simple attachment to popular DSLRshoulder mounts and baseplates.